The University of California Education Abroad Program (UCEAP) offers a 6-week summer study abroad program for UC students at the Technical University in Berlin, Germany. All courses are taught in English and award UC credit. To help students in your department learn more about this study abroad opportunity, please consider posting the attached flyer in your office and sharing this link by email: eap.ucop.edu/TechBerlin. Come learn about UC Santa Cruz's nationally ranked professional masters degree programs in Games and Playable Media and Serious Games! An information session will be held in E2 475, on Tuesday, November 6, from 4-5pm. Pizza will be served. winning faculty and world-class advisory board. The 5:20 Speaker series to be held in the Simularium. Free for Students! Pizza and Beverages provided. The 5:20 Zentrepreneur Symposium Series is a weekly four-part program created by serial entrepreneur and Silicon Valley executive, Toby Corey (Tesla, SolarCity, USWeb) in partnership with the Baskin School of Engineering at UC Santa Cruz and Santa Cruz Works. The symposium is based on Zentrepreneur.Life, a platform for college students created with new world ethics and values inspiring creative thinking. Our mission is to create a new world by inspiring, educating and guiding a new generation of entrepreneurs, social & environmental warriors and creative spirits to challenge the toxic status quo by thinking creatively. 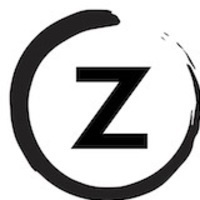 The Zentrepreneur.Life community provides a code or ethics, resources and mentorship focused on nurturing the creativity and unique qualities of its members, enabling them to translate imagination into new experiences. The series will be led by Toby Corey and feature guest speakers from the world of business, industry and education including Bluemind author and science entrepreneur Jay Nichols, marketing/startup/traveler guru Theresa Lina Stevens, Advanced Microgrid Solutions founder/ceo and Arnold Schwarzenegger chief of staff Susan Kennedy, and Lyndon Rive, co-founder of Solarcity with first cousin Elon Musk of Solarcity. October 11, 2018 – 5:20 -7:00 p.m.
October 18, 2018 – 5:20 -7:00 p.m.
October 25, 2018 – 5:20 -7:00 p.m.
November 1, 2018 – 5:20 -7:00 p.m.
Engineering 2, 1156 High St, Santa Cruz, CA 95064. If anyone is interested to be a Reader or Tutor for my new class, BME18 Scientific Principles of Life, please complete a Reader & Tutor Application for the Fall18 quarter. More information on the class is listed below. Course Description: The principles of life as it exists on this planet and how they generalize. Darwinian evolution, genomes, scientific theories of life (mechanistic, thermodynamic, information theoretic). Future of life: Internet, machine learning and adaptation, artificial intelligence, genome editing, fully artificial life. 5-course credit. This course satisfies the 5 unit undergraduate requirement for Scientific Inquiry. The new Biomolecular Engineering and Bioinformatics major will require students take either this course or Bioethics (BME 80G) as part of the curriculum. Assignments & Grading: Grades are based 50% on exercises/challenges/games/projects to be done on a laptop connected to the Internet (computer coding ability not required, but students may gain some exposure). In-class multiple choice quizzes and random pop questions will count for 20% and final 30% of the grade. Fri., Sept 28 David Haussler General properties of life: how are we different from rocks? Illustrations of abstract properties of life using Conway’s Game of Life. Wed., Dec 5 David Haussler Biomaterial hybrids: why just flesh or silicon? Fri., Dec 7 David Haussler Where are we going, intelligence explosion or self-destruction? Please note that we no longer allow students to reserve a time ahead of time to meet with a staff advisor during drop-in.